Unless evidence emerges that clinics like his exist in other parts of the country, the case looks like an appalling anomaly. They say this after noting how a simple internet search could have found other Pennsylvania abortionists willing to perform abortion up to 24 weeks. A simple internet search or simply having contact with a couple of people in the prolife movement could have provided ample evidence that the filthy, unsanitary conditions in Gosnell's clinic are not an anomaly or that there are a large number of incompetent, dangerous abortionists. Gosnell is an anomaly in the sense that he snipped the necks of babies who survived abortion and there was so much evidence against him but prolife people have been chronicling shady abortionists for decades. James Taranto points out how Roe v. Wade didn't make abortions safe for women. Instead of hiding in the back-alleys, shady abortionists can now bring the back-alley to main street (or 3801 Lancaster). Prosecutors are seeking the death penalty for Gosnell and have already obtained guilty pleas from eight of his former staffers. The grand jury's report should also be seen as an indictment of America's post-Roe abortion industry. Its indifference—at best—to legal limits made possible the deaths of untold numbers of babies, lending credence to the argument that legal abortion is a slippery slope to infanticide. Meanwhile, the claim that Roe v. Wade made America safe from back-alley abortion stands exposed as a cruel hoax, and a deadly one for women and children alike. Ross Douthat notes how abortion advocates have failed to put forward arguments which embrace the goriness of late-term abortion without helping the prolife cause. 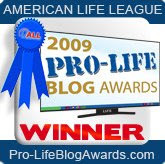 To respond effectively to the doubts about abortion that fetal snipping summons up, pro-choice advocates would need arguments that (to rephrase Senior's language) acknowledge and come to terms with the goriness of third-trimester abortions while simultaneously persuading the conflicted and uncommitted of their validity, and that somehow take ownership of the "violence" and "gruesomeness" of abortion (to borrow Harris's words) without giving aid and comfort to the pro-life cause. And in the absence of such arguments, the pro-choice response to Gosnell feels either evasive and euphemistic, or else logically consistent in ways that tend to horrify the unconvinced — and in either case, inadequate to the challenge his case presents to the cause of abortion rights. But of course it's possible that those arguments are absent because they simply don't exist. Michelle Malkin sums up the "lack of access lead to Gosnell" meme quite well. She also notes that Gosnell isn't an exception citing Stephen Brighan, Andrew Rutland and the Delaware Planned Parenthood currently under state investigation.